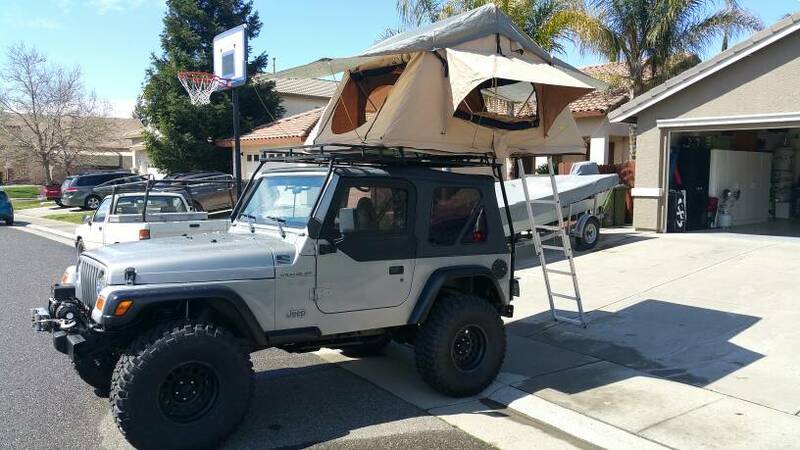 TJ wrangler build for overlanding. 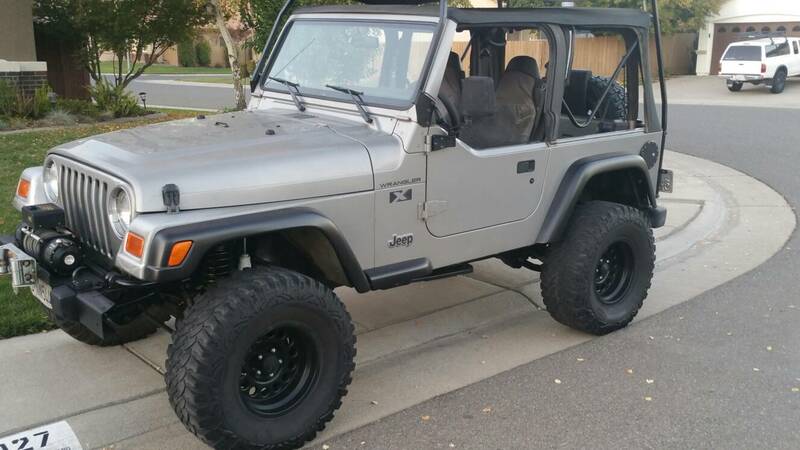 Picked up a 2002 Wrangler Sport 195k miles, 4.0ltr 5spd soft top for $4500. The 33" pro-comp tires were pretty wore out, the soft top had seen better days. 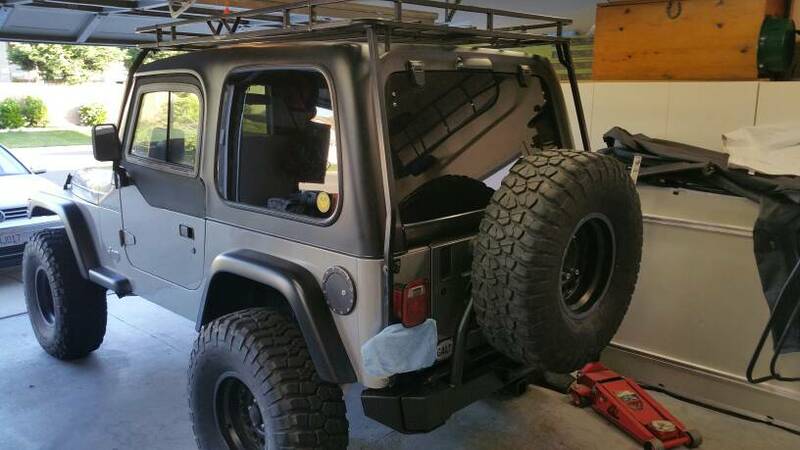 Also has a 4" lift that i hope to eventually swap out someday. it is a great start and planned in changing out those things anyways. Fortunately time is on my side with the build. I've been pretty lucky so far with the upgrades I've been able to source and that's my intention, to keep it a budget build as much as possible. 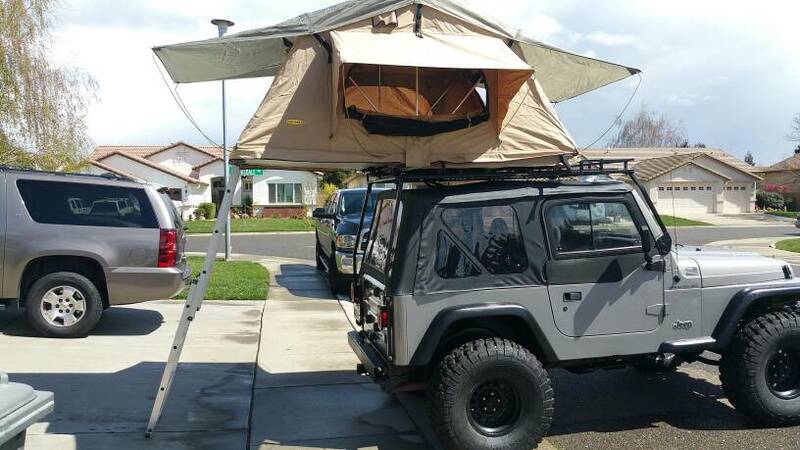 The Jeep came with the overhead rack when I bought it as the previous owner used the jeep as his hunting rig and as we all know, TJ's are not the friendliest with storage space! The first thing to tackle was replacing the old worn out tires. 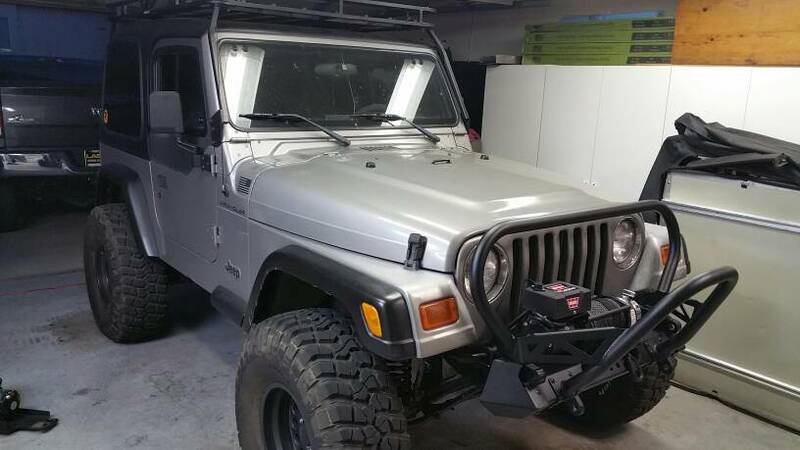 The owner of Cloakworks (and a great friend of mine) happen to have 3 BFG KM2 35" tires from a wrecked jeep that he picked up and we're fairly new. And fortunately a local 4wheelparts had a tire sale going on also, so I bought 2 new KM2's for $400. 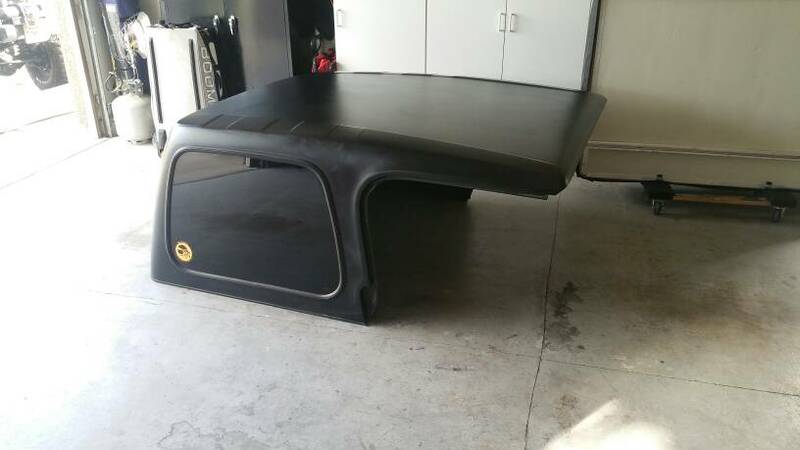 Also sourced a brand new complete soft top for $100 with tinted windows. 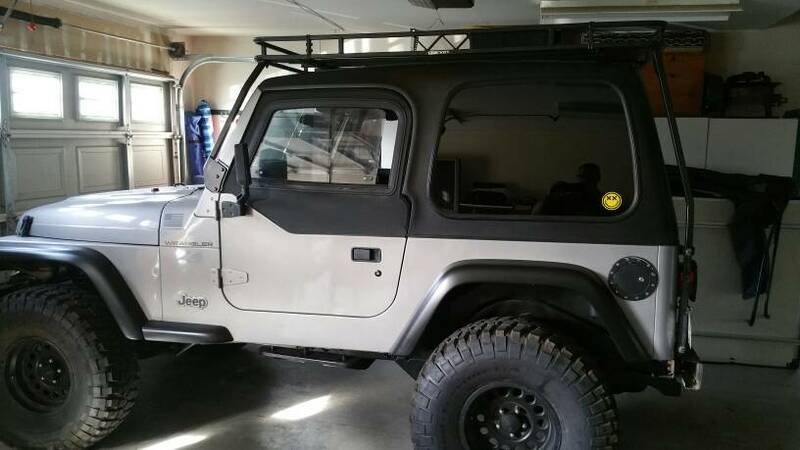 My place of work (I am a dealership chrysler dodge jeep technician) had a JK on the showroom floor or sale with a smittybilt RTT and once it was sold about a year ago, the new jeep buyer didn't want the RTT so it was put in the storage room and had been sitting there for about a year. I had asked about it and the sales manager said "make me an offer for it". 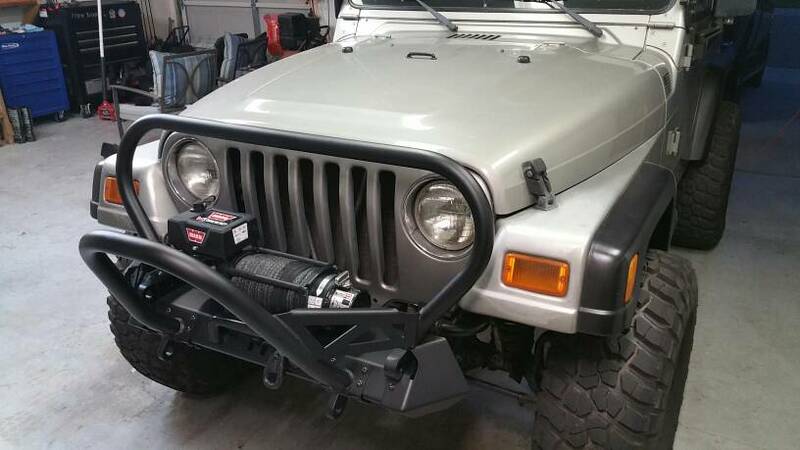 So, because the challenge for my TJ build is to be as cheap as possible....I offered him $250. He laughed and we eventually agreed on $400. Sweet! 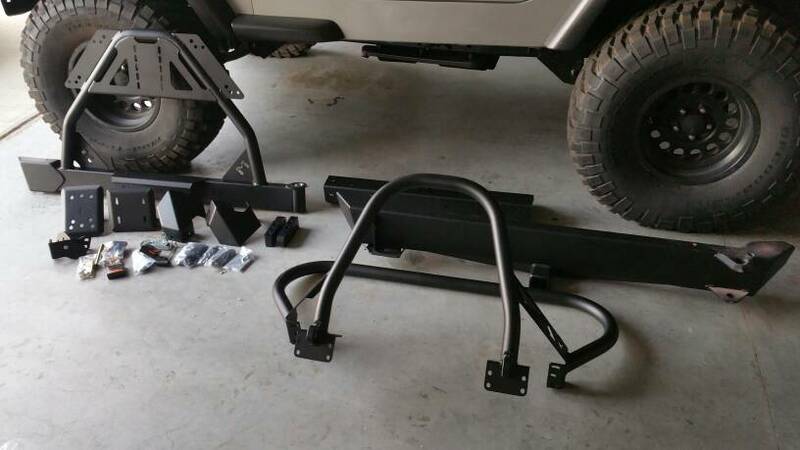 I decided to mount the top in a "north-south" direction that way when deployed, we will have some weather protection while working out of the back of the Jeep. A few months had gone by with very little work going on with project SHOESTRING, then I get a random message from my great friend Matson with Metalcloak. 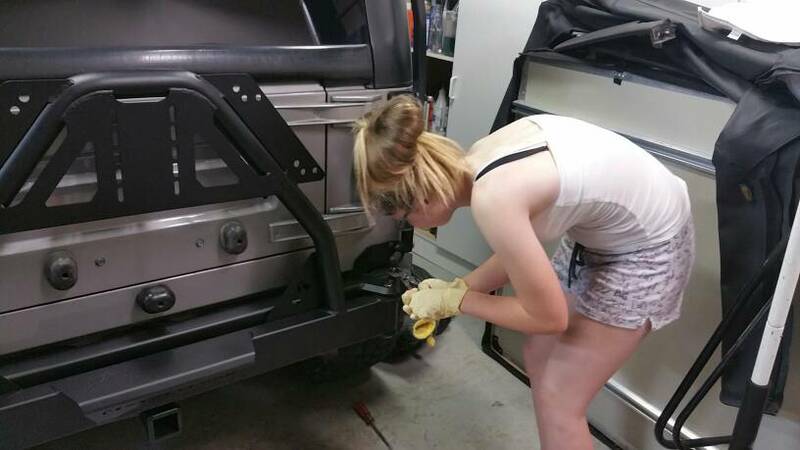 He asks "did you replace those basic stock bumpers on that Jeep yet?!?!" I laugh and he says "we gotta do something about those, and sponsors front and rear bumpers with tire swing out. HOLY CRAP!!!!! 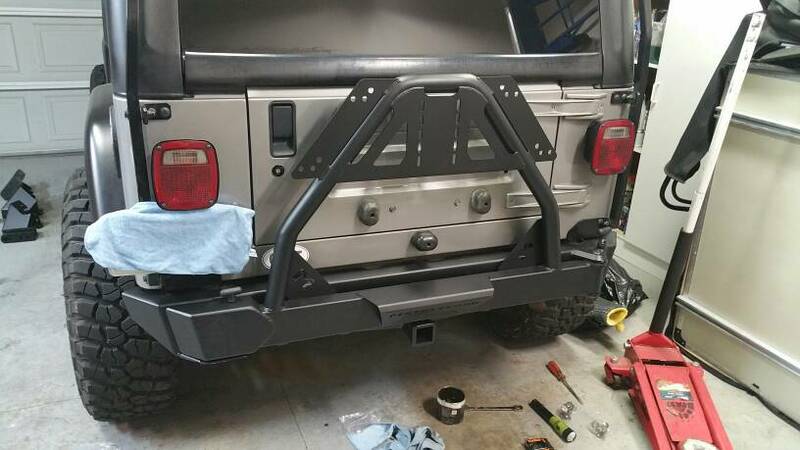 Matson Breakey and all the metalcloak staff are absolutely the best company to work with. Yes, I've been good friends with most of them for quite awhile. But this was over the top awesome and completely unexpected. 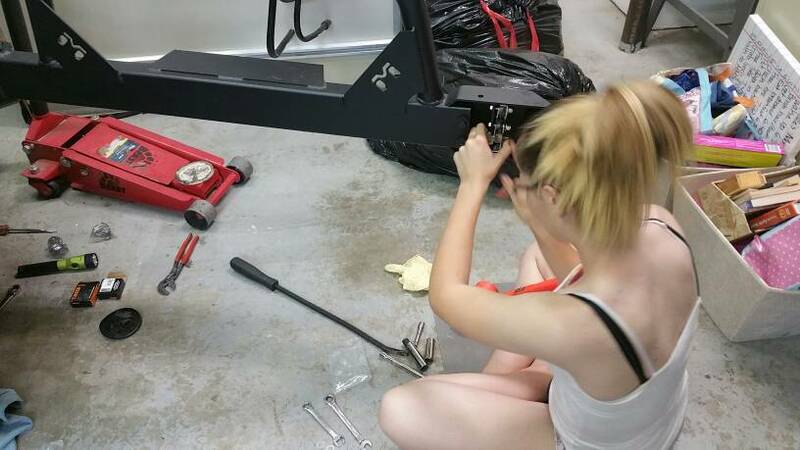 My daughter and I installed the bumpers and I just couldn't bring myself to reinstall the ugly sun faded smittybilt 8k winch that looked horrible. 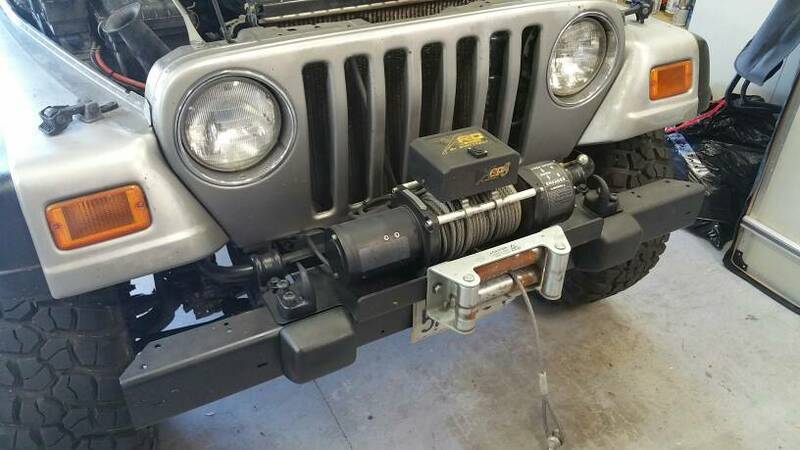 I made a call to Cloakworks and he found me a real nice warn 8k winch with synthetic line. The weight difference is crazy from steel line to synthetic. So much lighter! My daughter and I are excited to get out and make some memories up in the hills and have some fun with friends. Looks great! Been out on the trails lately?